Selective Laser Sintering (SLS) is a technology which uses a laser beam to selectively fuse powdered materials (like nylon, elastomer or metal) together, layer-by-layer, to form a solid model. 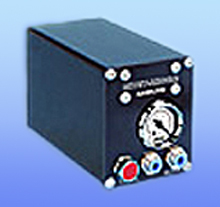 The system consists of a laser, part chamber, and control system. As soon as the model is completed, it is removed from the part chamber. And it is finished by removing any loose material and smoothing the visible surfaces.